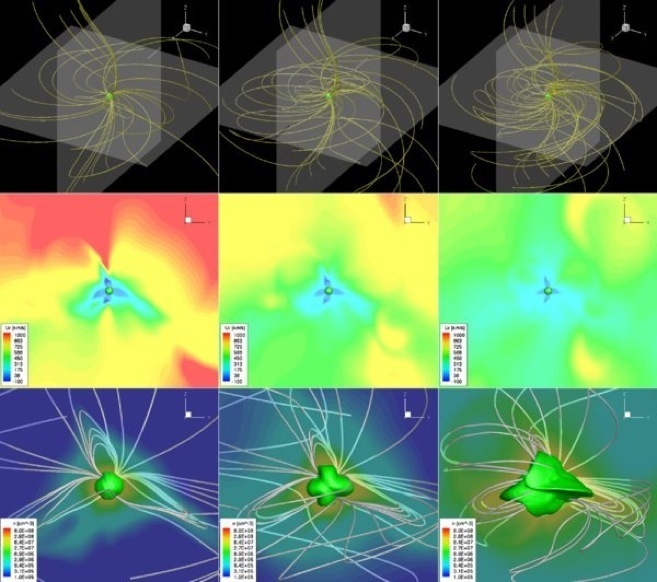 Coronal structure and dynamics, as well as coronal heating of other stars. 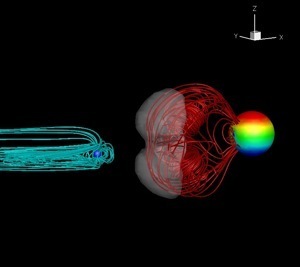 Plasma physics in exoplanetary systems - this research involves interplanetary physics and space weather of close-in exoplanets, star-planet magnetic interaction, and magnetospheric dynamics and physics of the upper atmospheres of close-in planets. The corona and interplanetary environment of the young Sun. Radiation and ionization in accretion disks. 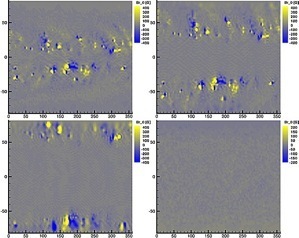 BATS-R-US - global Magnetohydrodynamic (MHD) code (U. of Michigan). PINTofALE - Package for Interactive Analysis of Line Emission. MOCASSIN - MOnte CArlo SimulationS of Ionized Nebulae. 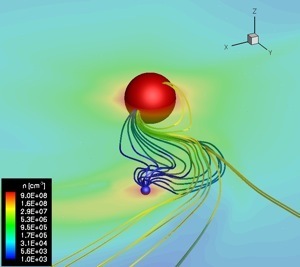 FLASH - global model for Hydrodynamic and MHD (U. of Chicago). Ofer Cohen, Jeremy Drake, Vinay Kashyap, Steve Saar, Cecilia Garraffo, Dai Takei.